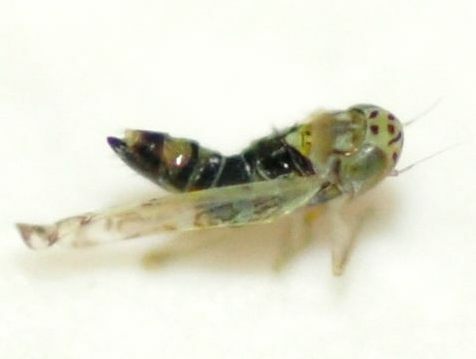 For more images of this species, see: 1, 2, 3. Distribution: Found throughout Europe; introduced in North America where it is slowly expanding. Most records are from California where it was first detected in 2008; has also been found in New Mexico. 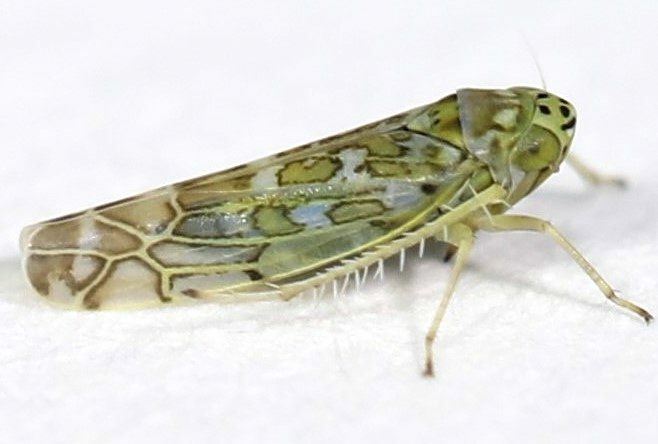 This species is relatively scarce in the eastern United States without any clear established populations; has been intercepted in Florida in 2009 and Pennsylvania in 2015, and the single North Carolina record from 2013. Abundance: A single record from the Piedmont; unclear what the status of this species in the state is and whether there are any established populations. Habitats: Has been found in mixed hardwood forest, but likely found anywhere herbs and ornamentals occur in high number. 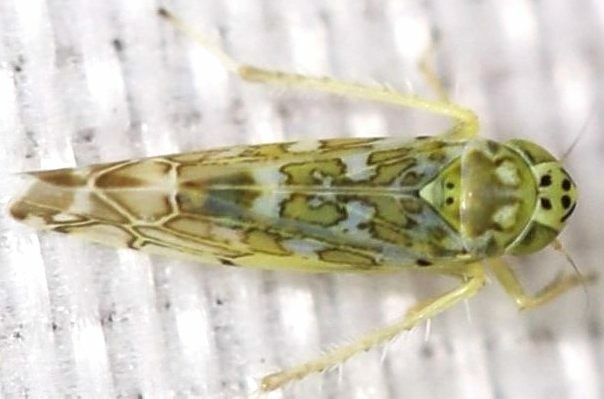 Comment: NOTE: This species is similar to E. melissae, the Sage Leafhopper, another introduced Eupteryx that has been recorded from both sides of the continent. The two can best be distinguished by the markings on the head. 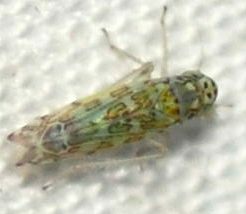 In decemnotata, there is an even number of spots, usually 5 pairs but sometimes spots are fused together. In melissae, there is an odd number of spots, usually 5 or 7 spots total with three prominent ones on top of the head. See here for more information and images on how to distinguish the two species: Rung, 2009.